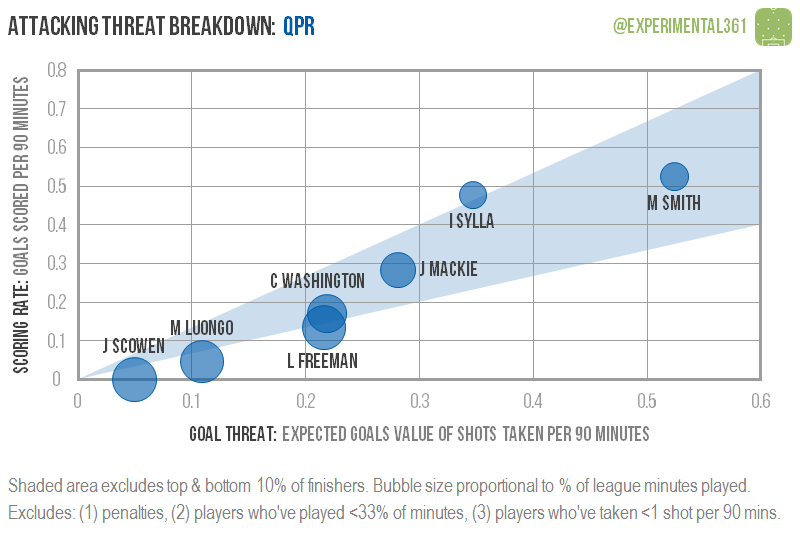 QPR‘s Matt Smith hasn’t featured all that regularly this season but he’s looked very dangerous when he’s been on the pitch. 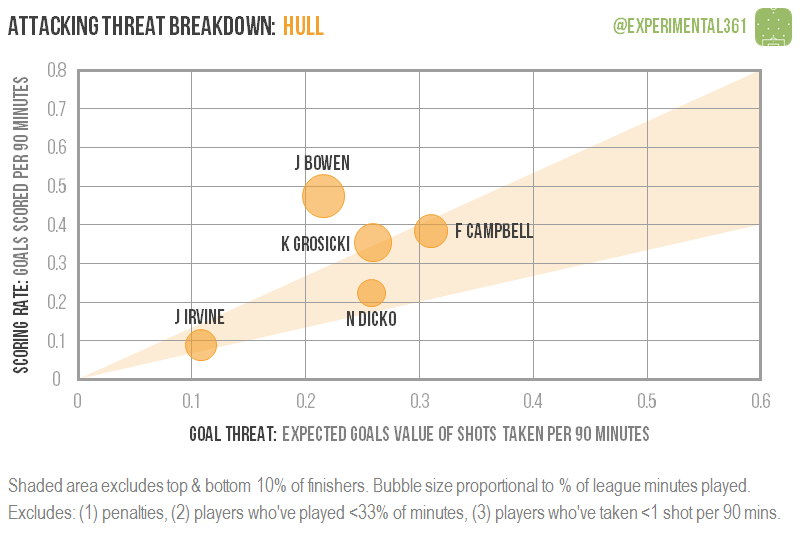 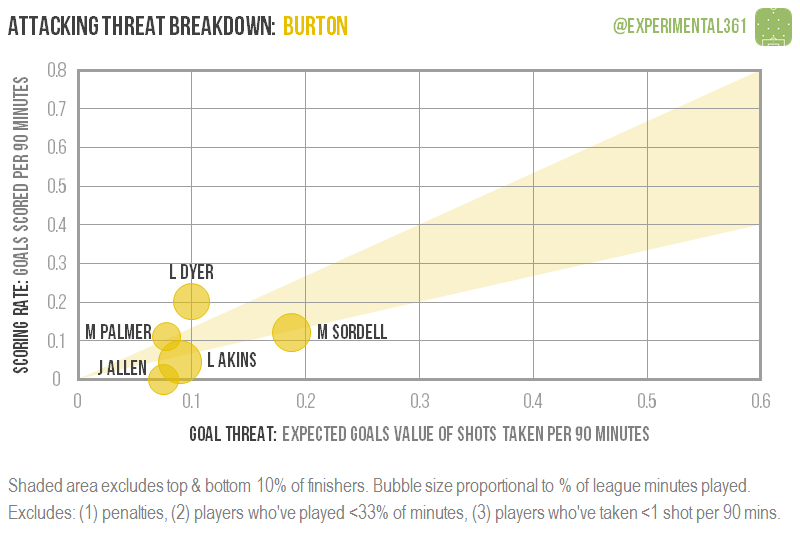 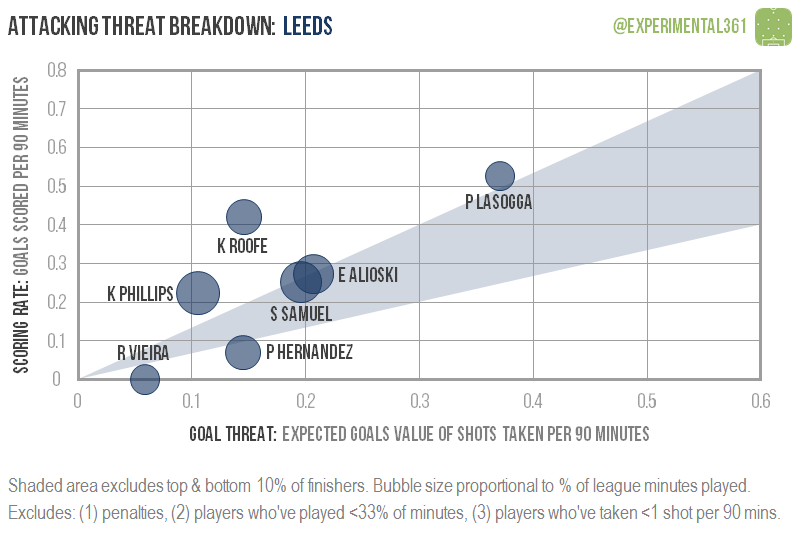 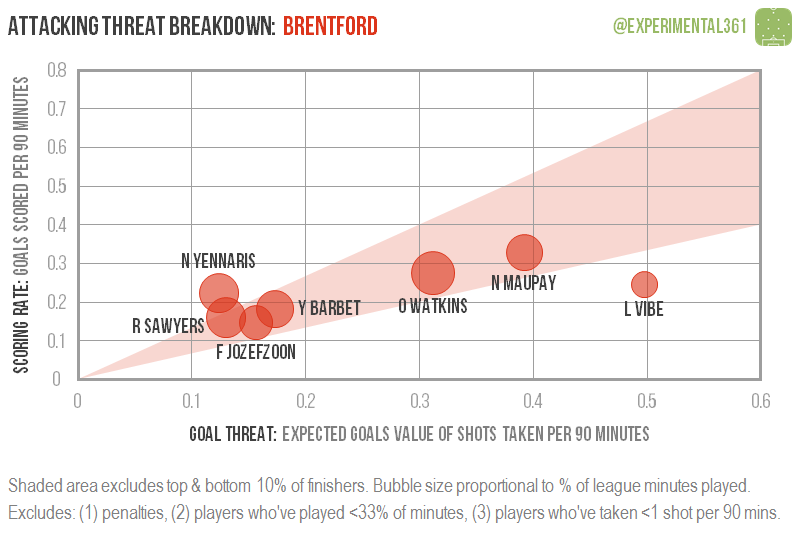 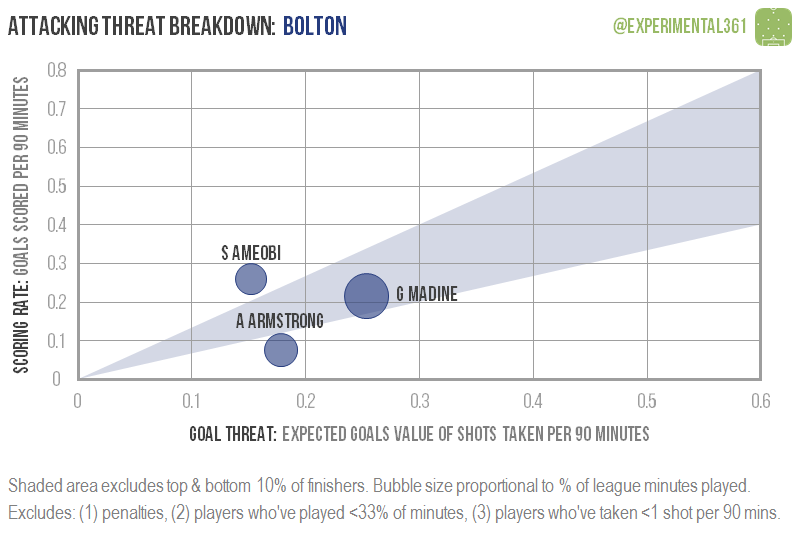 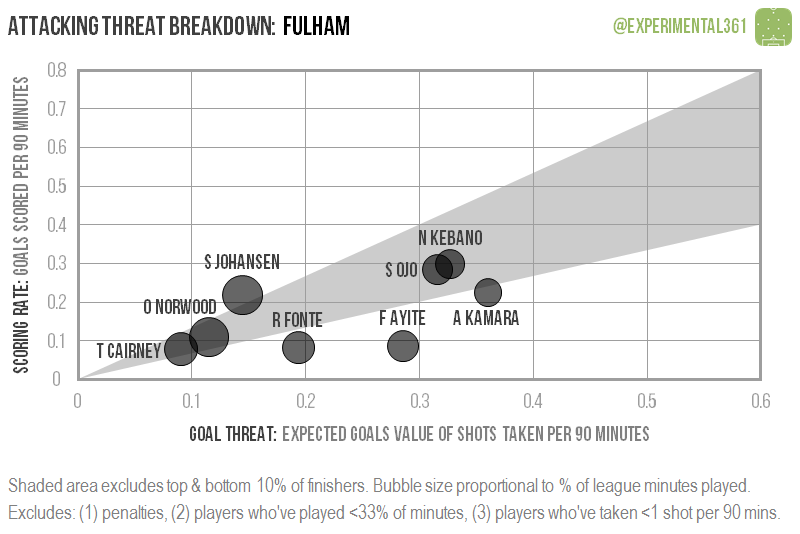 The closest player to him in expected goals terms is Brentford‘s Lasse Vibe, although he hasn’t been able to turn his opportunities into goals all that regularly. 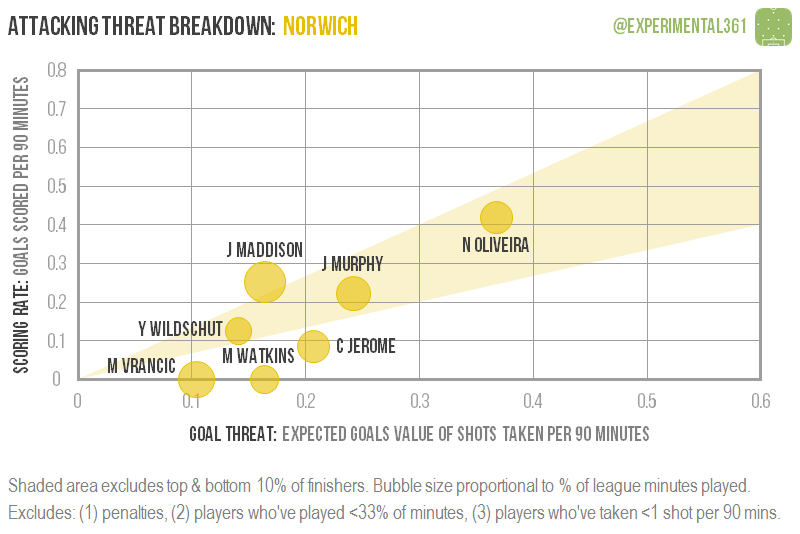 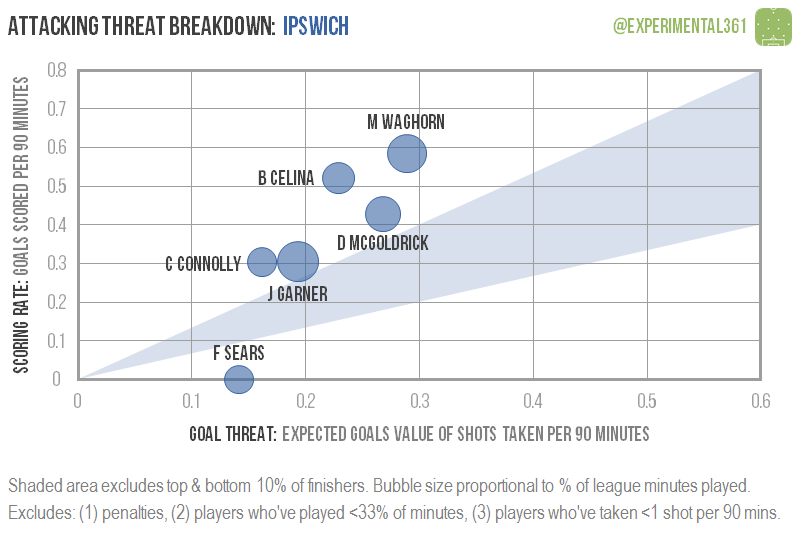 Ipswich have been overachieving against some very modest numbers this season and all but one of their main attackers has been scoring at a faster rate than you’d expect from the chances they’ve had. 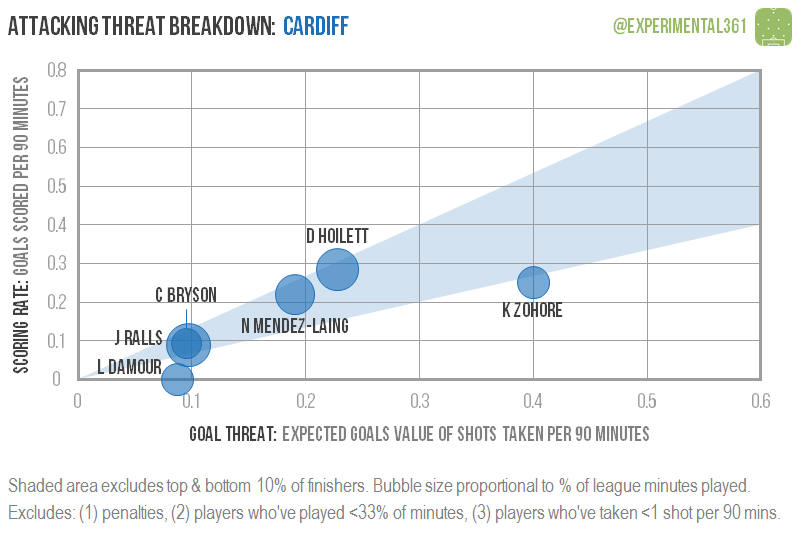 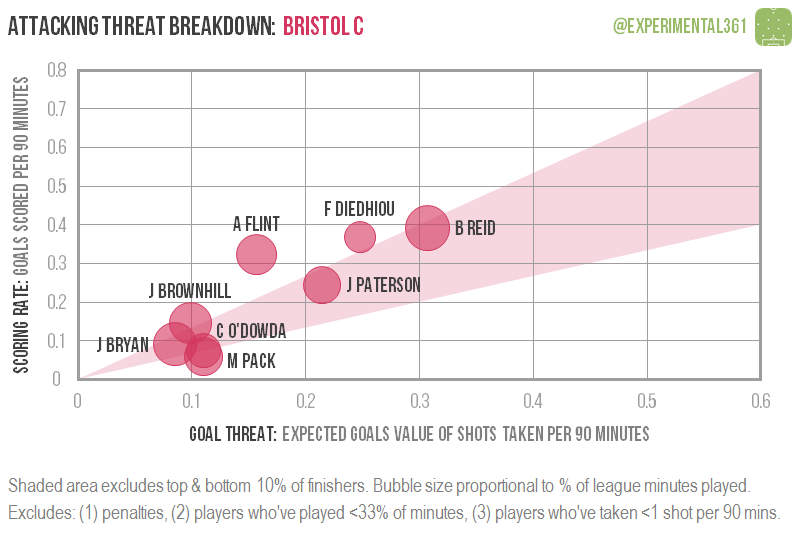 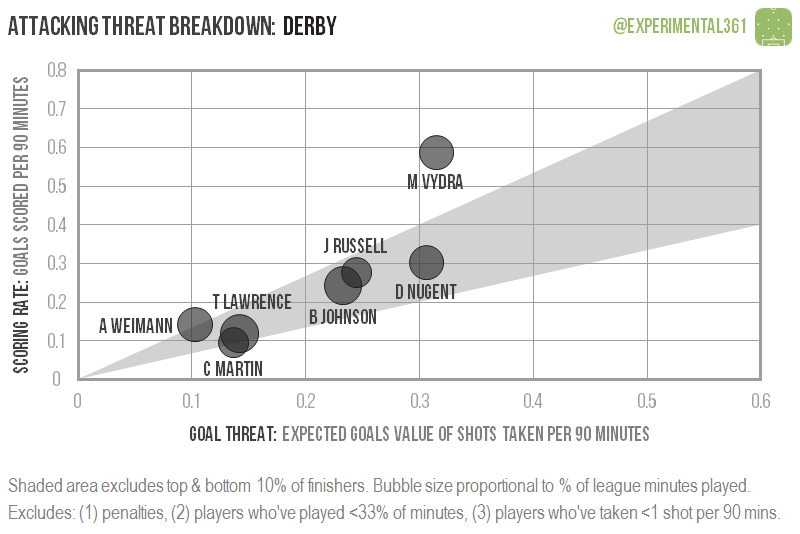 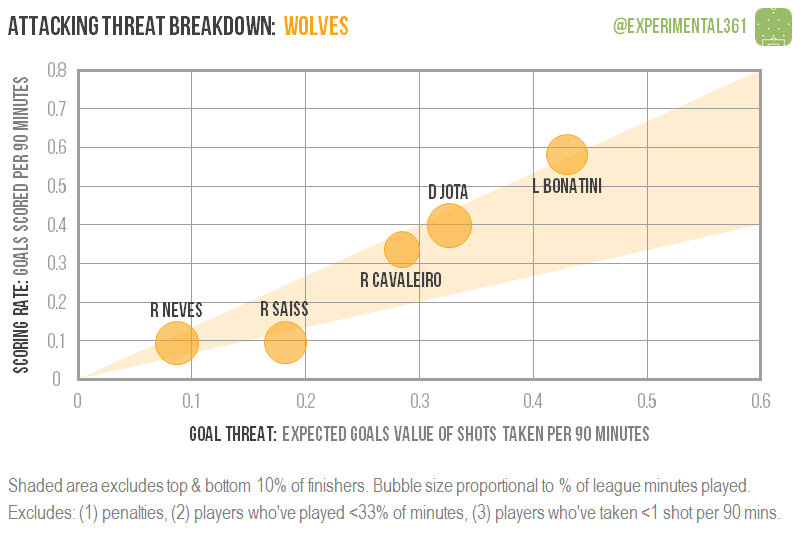 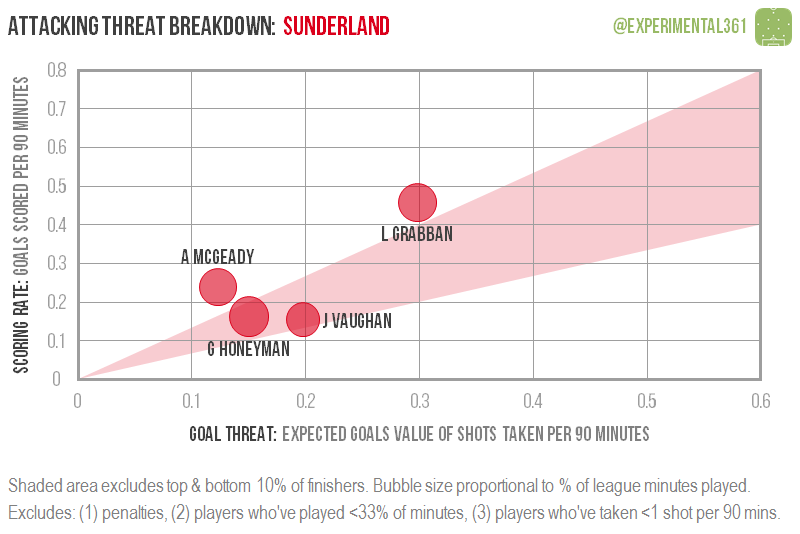 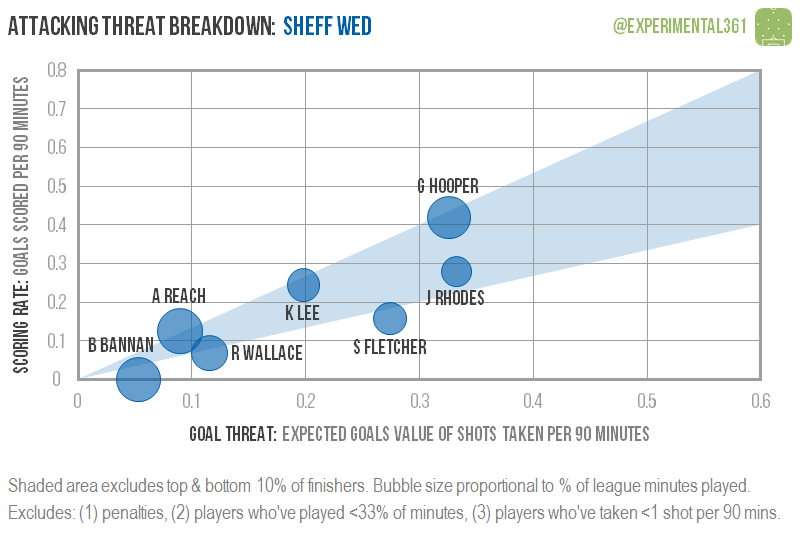 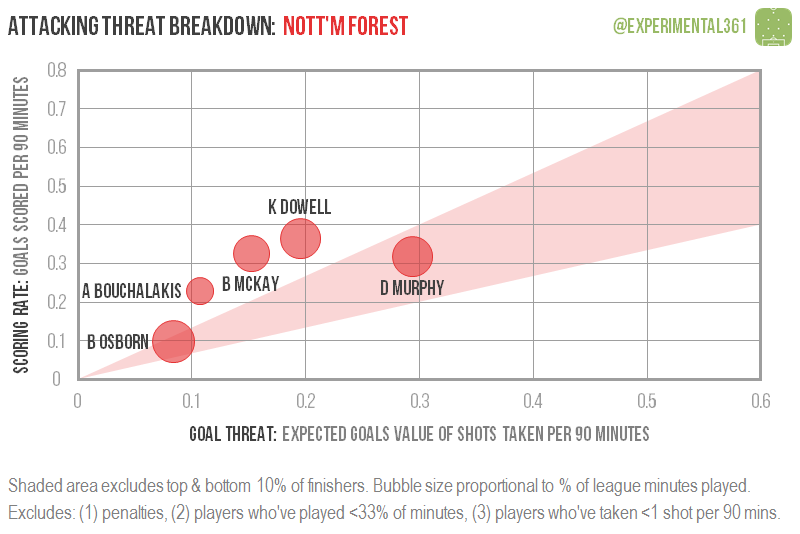 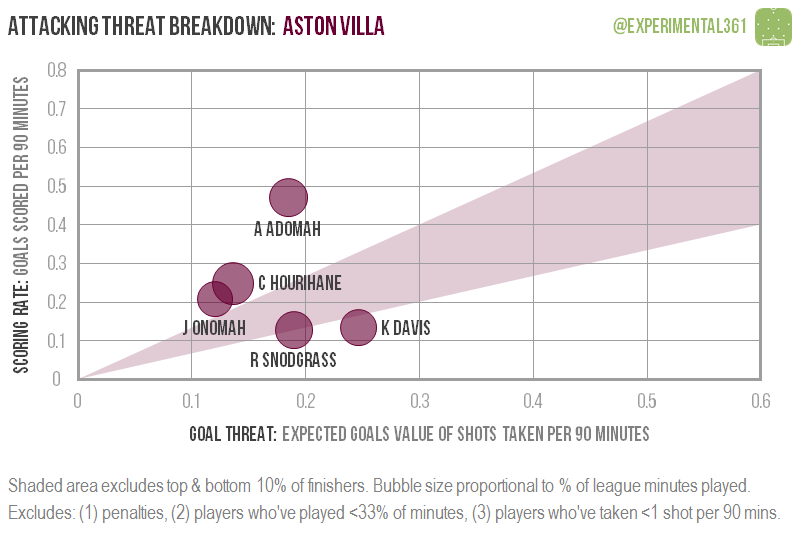 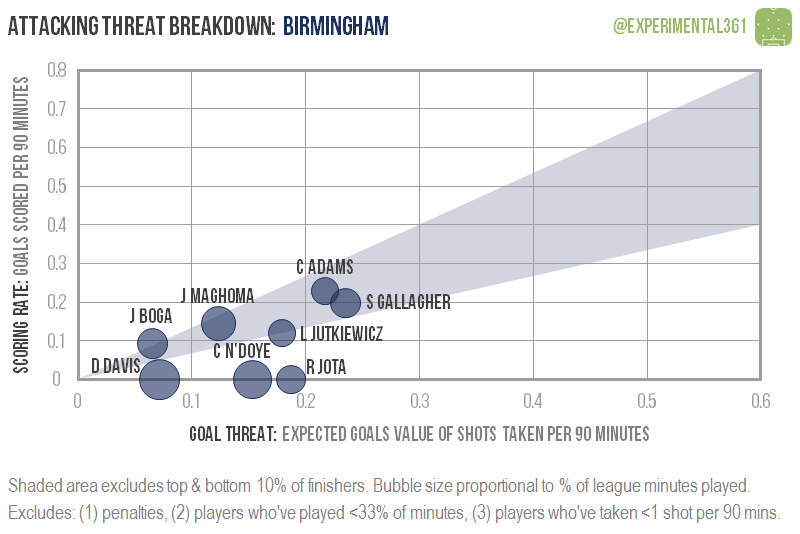 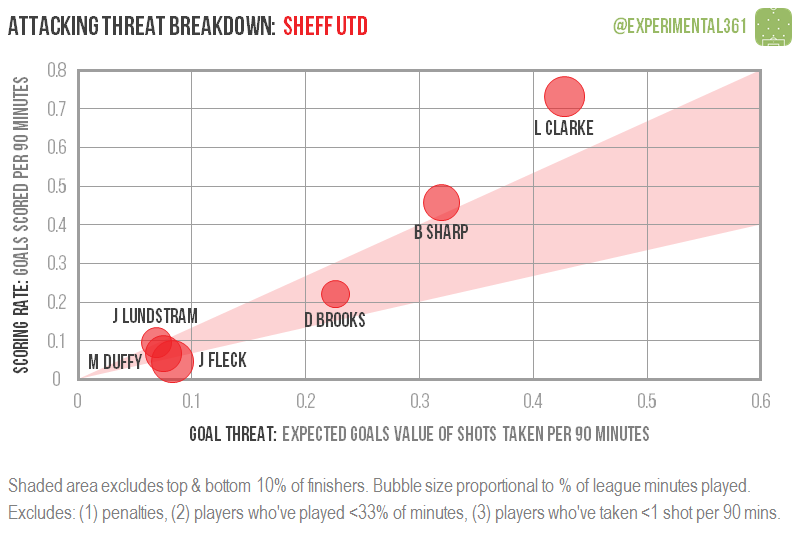 Derby‘s Matej Vydra and Sheffield United‘s Leon Clarke have also enjoyed a hot start to the season, so I’d expect their goalscoring rates to cool off slightly as the season progresses. 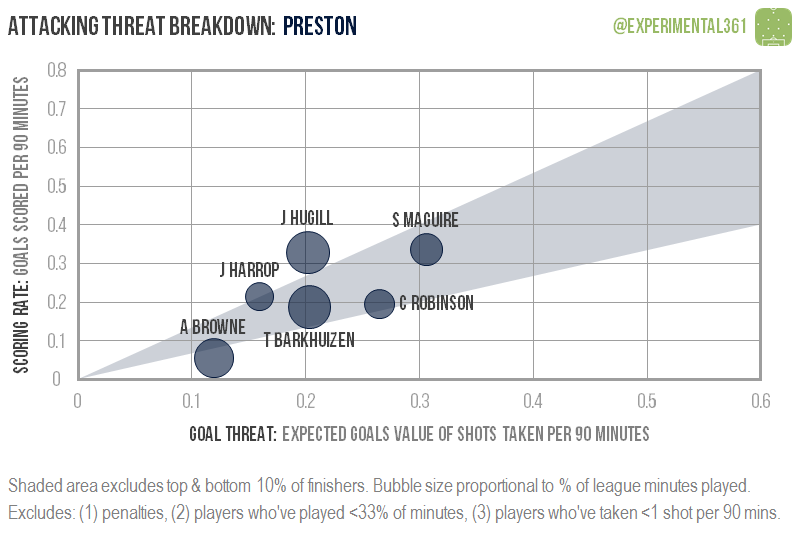 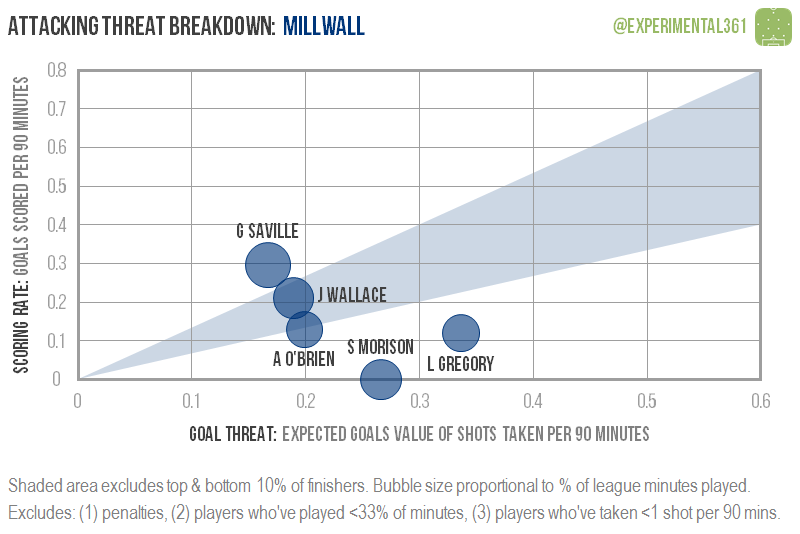 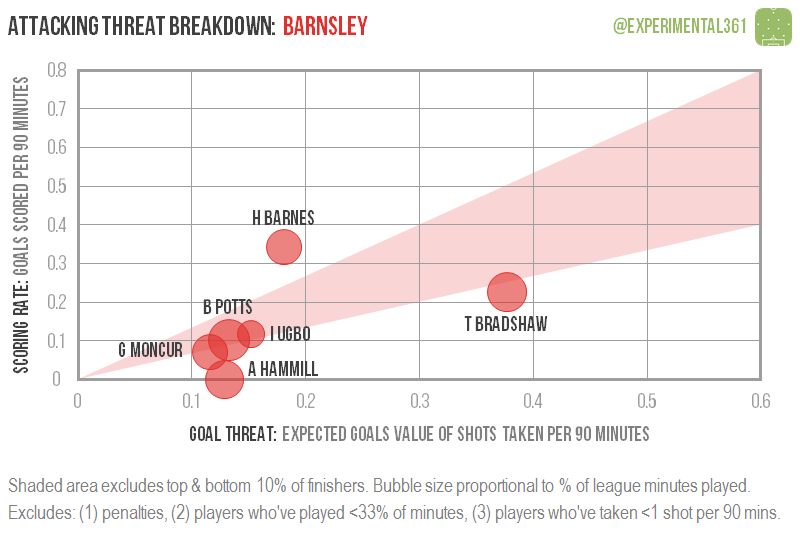 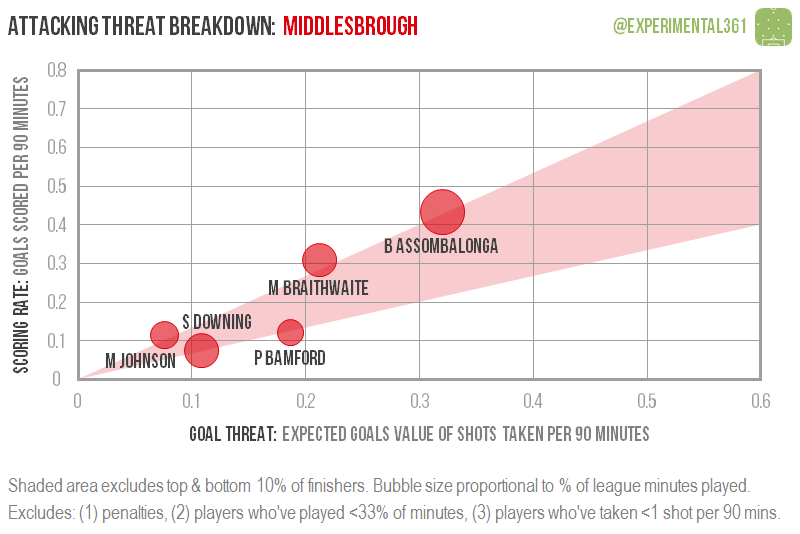 On the flipside, Barnsley’s Tom Bradshaw and Lee Gregory of Millwall are two players that the data suggests should start to find the net more regularly – both get on the end of a decent volume of chances but haven’t been scoring in line with these.